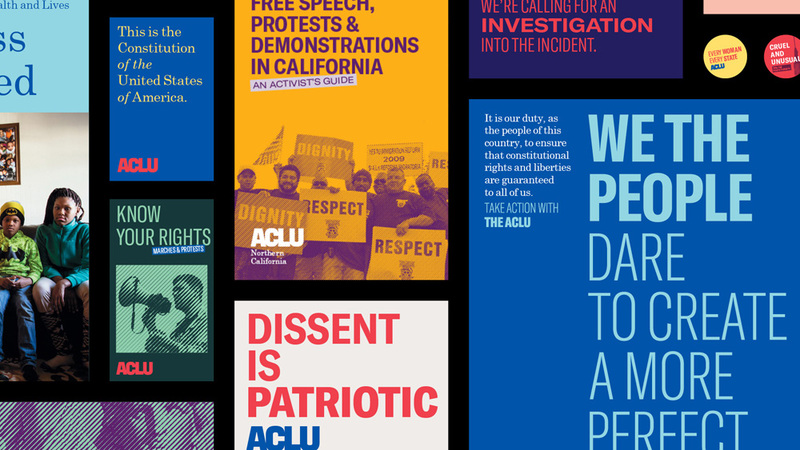 Established in 1920, the American Civil Liberties Union (ACLU) is a nonpartisan, nonprofit organization that works to “defend and preserve the individual rights and liberties that the Constitution and the laws of the United States guarantee everyone in this country.” The organization is the largest public interest law firm in the United States with a network of staffed, autonomous affiliate offices, across 50 states where staff attorneys collaborate with about 2,000 volunteer attorneys in handling close to 2,000 cases annually. 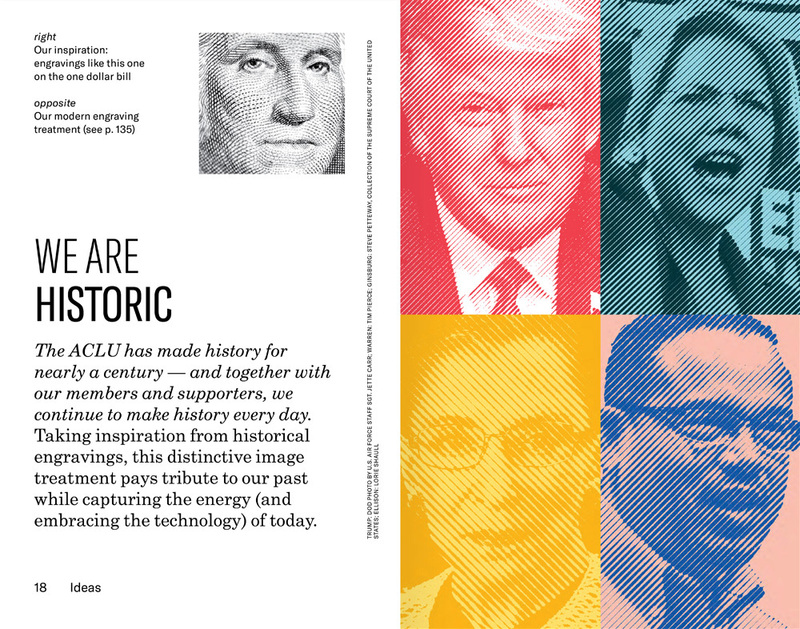 The ACLU operates on donations, contributions and grants from private foundations and individuals, and dues from members, which are now 1.6 million strong. Needless to say, the ACLU is an important organization. This week, it introduced a new identity designed by New York, NY-based Open, based on strategy work by New York-based Co:Collective. The new logo was drawn by Tobias Frere-Jones. 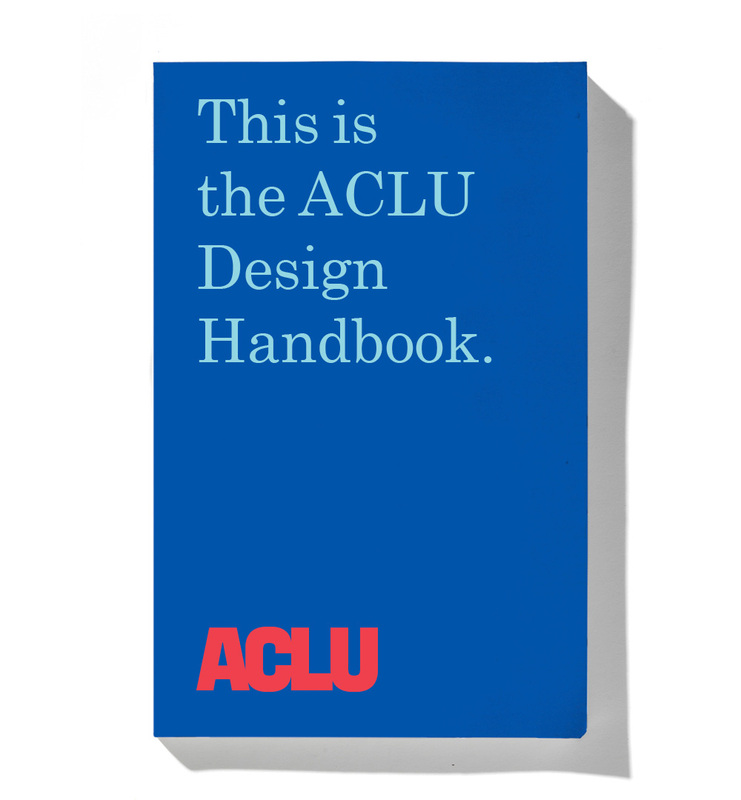 The previous logo was quite strong and after 15 years of use had become a very well recognized device for the ACLU. Designed by a team led by Sylvia Harris in 2002, it presented a simple and solid identity that captured the size and scope of the organization in a clear logo and efficient system. For now, the guidelines for that logo can still be seen here. What the old logo didn’t account for was the evolution of identities and their need to live on tiny digital applications and operate on a daily basis on social media. 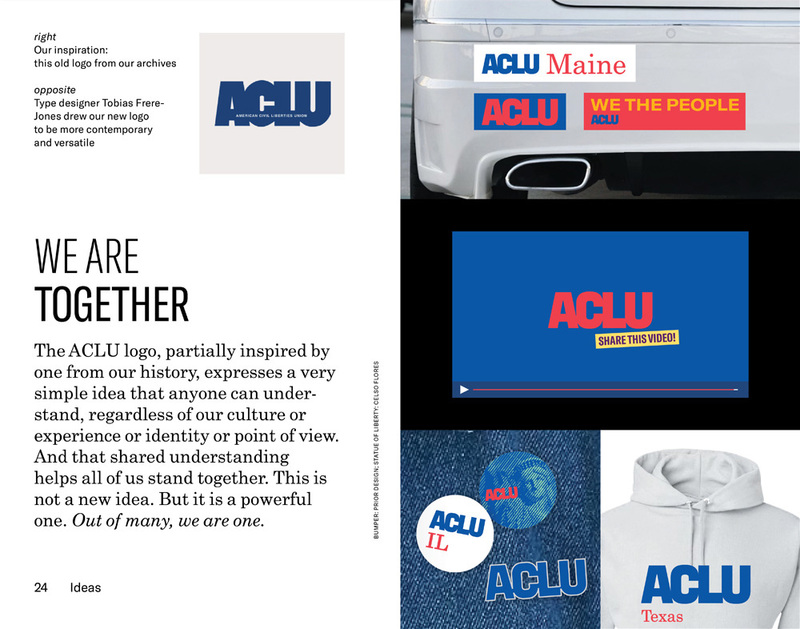 The new logo builds on the name recognition of the ACLU without having to spell out the full name and drops the image of the Statue of Liberty — while it does represent liberty, it can also feel too New York-centric and for an organization that’s active in 49 other states, it was perhaps a limiting visual — giving way to a much more efficient shorthand of a logo. 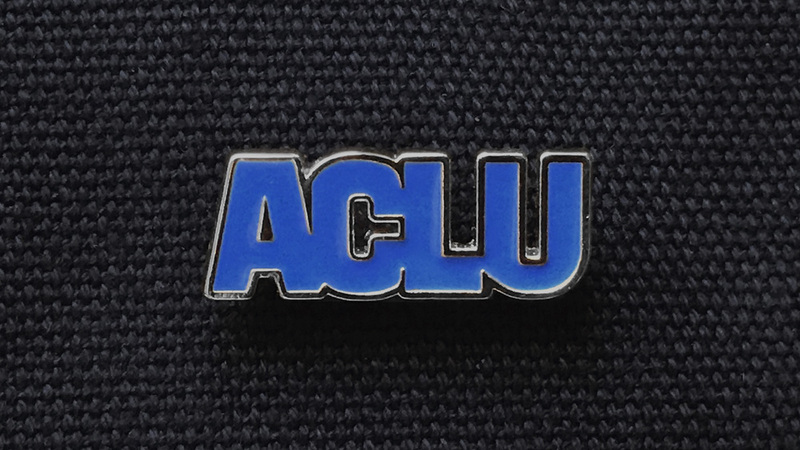 The new logo revives one from the history of the ACLU, used from 1984 to 2001, that featured a tightly typeset acronym in an extra bold sans serif. Of all the things this logo could be — something with a torch, something with the flag, something with something else altogether — going with a pure wordmark may seem an easy way out but it’s a direction that makes sense and (as you will see in the applications) provides the most flexibility. The new iteration of the old logo was drawn by Tobias Frere-Jones and, while it captures the vintage clunkiness of the original, it’s a striking wordmark with a lot of personality to it that stands out from the regular-weighted-loosely-spaced-geometric-sans-serif wordmarks du jour. It’s almost disconcerting to see letters touch so much but if you are going to do it, you have to do it right, and this is how it’s done. 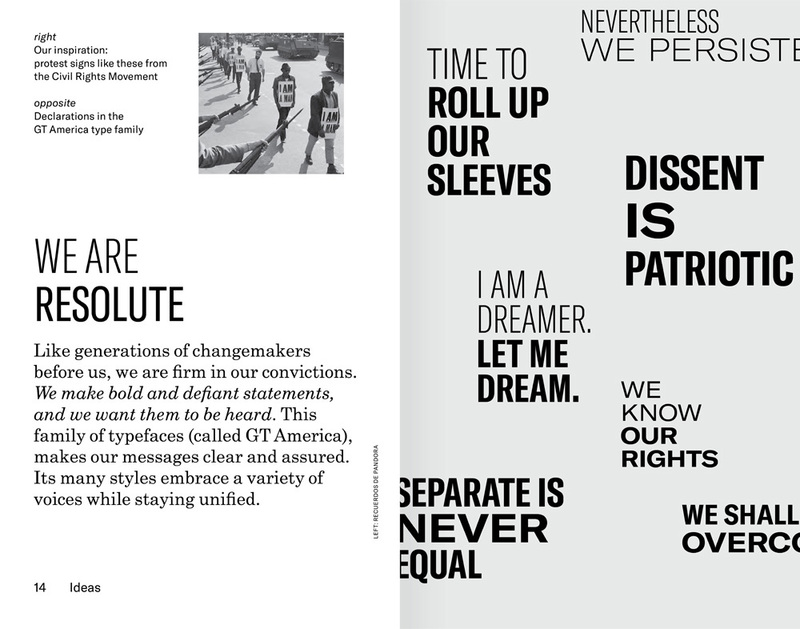 Identity elements: GT America, references protest posters. 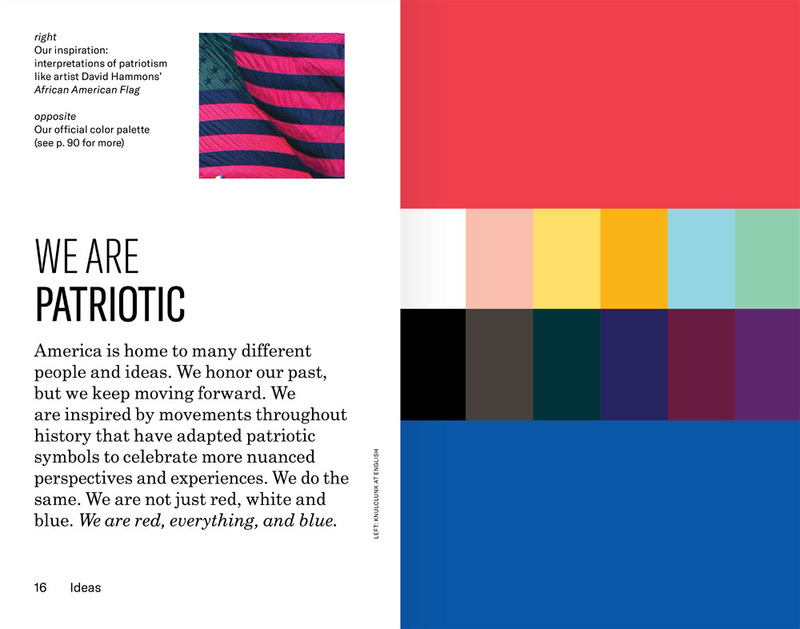 Identity elements: Broad color palette, starts with the colors of the flag and builds from there to be diverse. Identity elements: Engraving photo treatments, reference engravings like those on our currency. 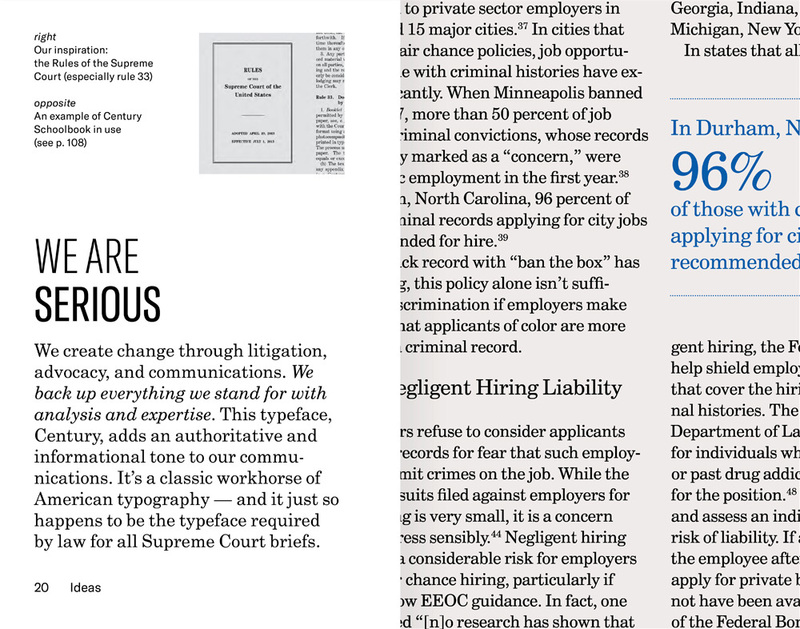 Identity elements: Century Schoolbook, references the fact that it is the typeface required by law to be used on all Supreme Court briefs. Identity elements: Layering, references the multiple voices in our country. Identity elements: Logo, references the history of the organization. 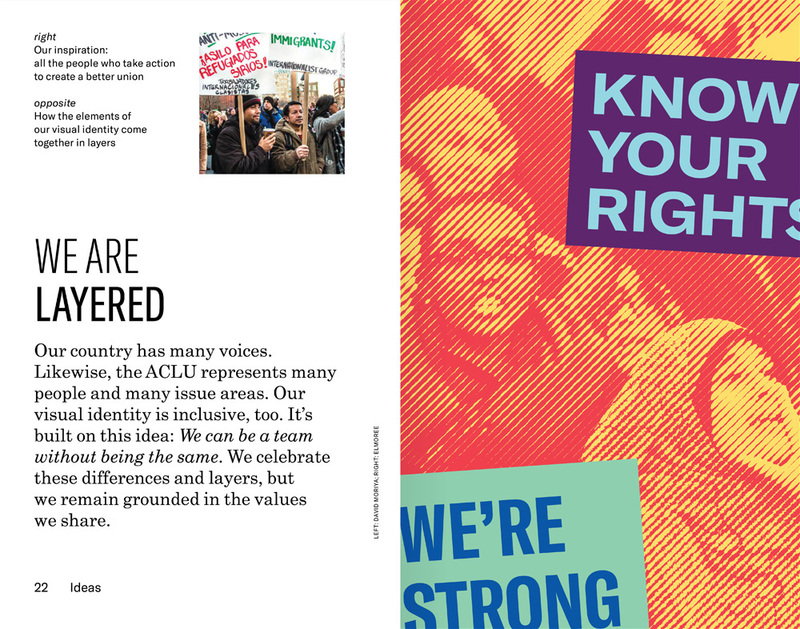 All the spreads above come from the ACLU Design Handbook, that you can download here. One of my favorite aspects of this identity are the relevant reference points Open drew from and translated into contemporary applications… particularly the engraving style for photographs that allow the organization to standardize the random imagery they have available and establish a unique visual language. It’s on the duotone-Spotify trend but it actually offers a novel approach. Combining GT America — how can you not use a font called “America” — with Century Schoolbook is a classic serif/sans serif combo but the fact that Century Schoolbok was chosen because rule #33 of the “Rules of the Supreme Court of the United States” specifies it as the official font to be used for all Supreme Court filings, is a fantastic display of a design firm doing their homework. The identity is designed to be loose, allowing the various offices flexibility to use the standard elements in their own way but since those elements are so strong — the engravings, the tilted color boxes with type — it will be easy (or at least easier, or at the very least, more optimistic) that the system will withstand democratized application. This project is extremely difficult but Open has done a great job in creating an identity that builds not just on the past of the organization but on the past of the country and is able to offer a contemporary visual language that is strong, dynamic, and meaningful. PS. Below is an excerpt of Open’s proprietor, Scott Stowell, presentation at this year’s Brand New Conference where he explains in-depth the development of this identity. You can purchase the video here. 100% of the proceeds of the sale of the video will be donated to the ACLU. Established in 1920, the American Civil Liberties Union (ACLU) is a nonpartisan, nonprofit organization that works to \"defend and preserve the individual rights and liberties that the Constitution and the laws of the United States guarantee everyone in this country.\" The organization is the largest public interest law firm in the United States with a network of staffed, autonomous affiliate offices, across 50 states where staff attorneys collaborate with about 2,000 volunteer attorneys in handling close to 2,000 cases annually. 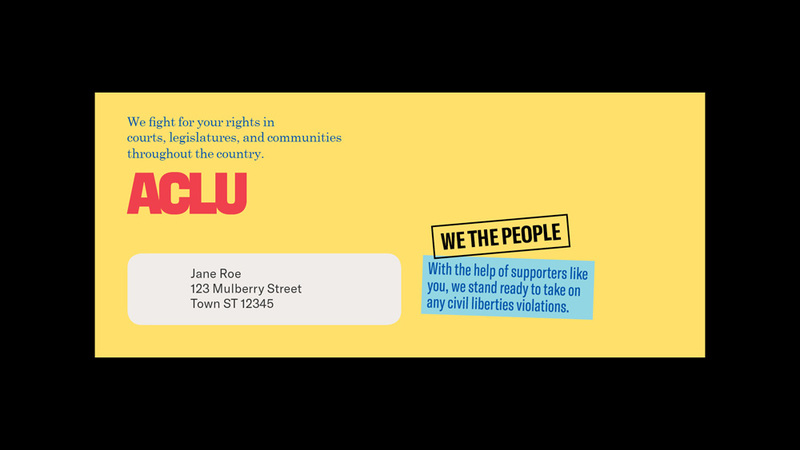 The ACLU operates on donations, contributions and grants from private foundations and individuals, and dues from members, which are now 1.6 million strong. Needless to say, the ACLU is an important organization. This week, it introduced a new identity designed by New York, NY-based Open, based on strategy work by New York-based Co:Collective. The new logo was drawn by Tobias Frere-Jones.